Triangulations: Narrative Strategies for Navigating Latino Identity, University of Minnesota Press, 2011. “Toxicity and the Politics of Narration: Imagining Social and Environmental Justice in Salvador Placencia’s The People of Paper” (forthcoming in Symbolism, 2017). Novel.” Routledge Companion to Latino/a Literature, eds. Frances R. Aparicio and Suzanne Bost, London: Routledge, 2012. “An Epistemology of Ignorance: Hierarchy, Exclusion, and the Failure of Multiculturalism in the Modern Library Top 100.” Erasing Public Memory: Race, Aesthetics and Cultural Amnesia in the Americas, eds. Jana Evans-Braziel and Joseph Young. Mercer University Press, 2007: 118-156. “I Can’t Be Me Without My People: Julia Alvarez and the Postmodern Personal Narrative.” Latino Studies 1, no. 3 (2003): 383-402. David J. Vázquez is Associate Professor and Head of English and an affiliated faculty member in the Department of Ethnic Studies. He regularly teaches courses on comparative Latina/o literature, comparative ethnic American literature, Critical Race Theory, Environmental Justice, and 20th Century U.S. Literature. 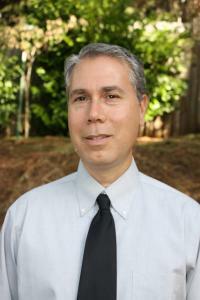 He is also a past director of the Center for Latino and Latin American Studies at the University of Oregon. Vázquez received his MA and PhD in English from the University of California, Santa Barbara, with training in the Ethnic Studies department at UC San Diego, and his BA in English from the University of South Florida. In 2013 he was a fellow at the Institute for Humanities Research at Arizona State University and has won numerous awards from the Oregon Humanities Center, the Graduate School at the University of Oregon, and at UCSB, as well as an honorable mention from the Ford Foundation. His first book Triangulations: Narrative Strategies for Navigating Latino Identity, published with the University of Minnesota Press in 2011, explores how Latina/o authors in late twentieth-century America employ the coordinates of ideas of self in autobiographical texts to find their way to new, complex identities. His other publications have appeared or are forthcoming in the journals Symbolism, Latino Studies, CENTRO, The Journal of Transnational American Studies, and in the collections the Routledge Companion to Latina/o Literature (Routledge, 2012) and Erasing Public Memory: Race, Aesthetics and Cultural Amnesia in the Americas (Mercer, 2007). He is currently working on two book projects. The first is an edited collection that examines intersections between Latina/o literature and literary history and U.S. environmentalism. The second is a monograph that places a constellation of ideas around genre, 20th- and 21st-century experimental Latina/o novels, and environmental justice into conversation. David Vázquez’s book Triangulations: Narrative Strategies for Navigating Latino Identity, published by the University of Minnesota Press, reveals how Latino autobiographical texts challenge mainstream notions of individual identity and national belonging in the United States.